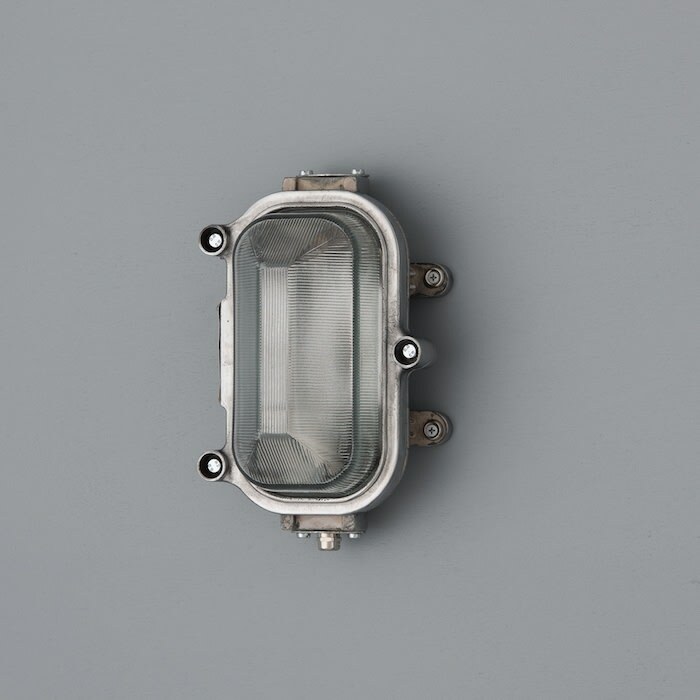 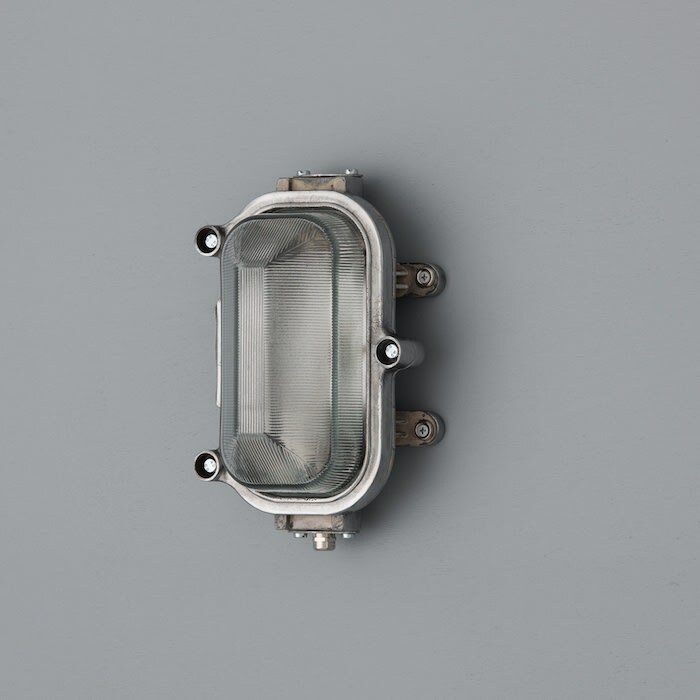 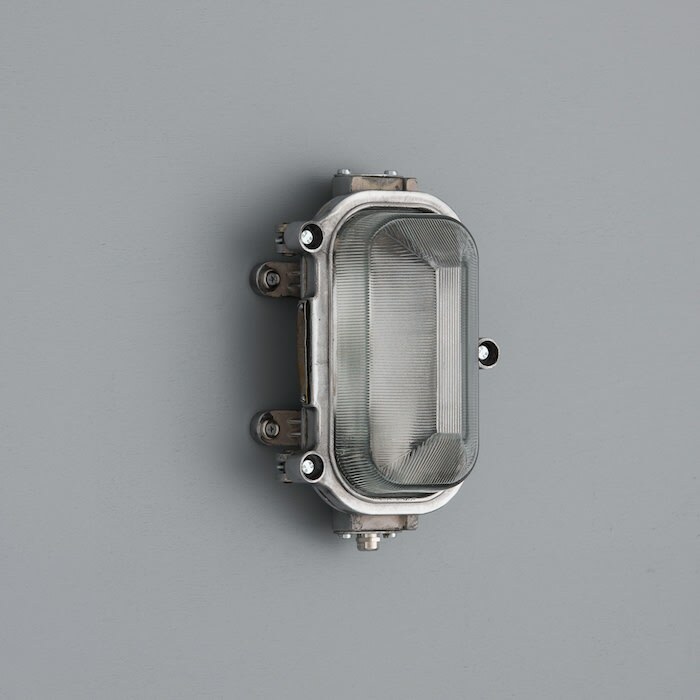 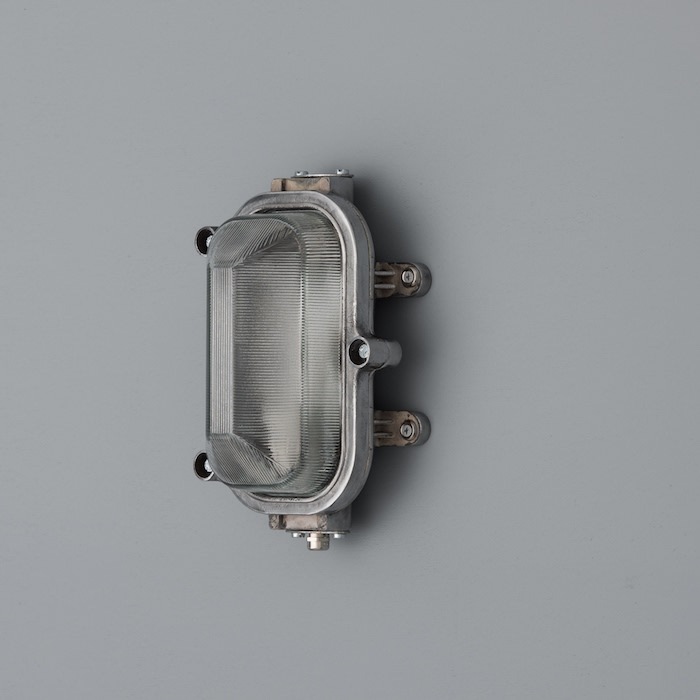 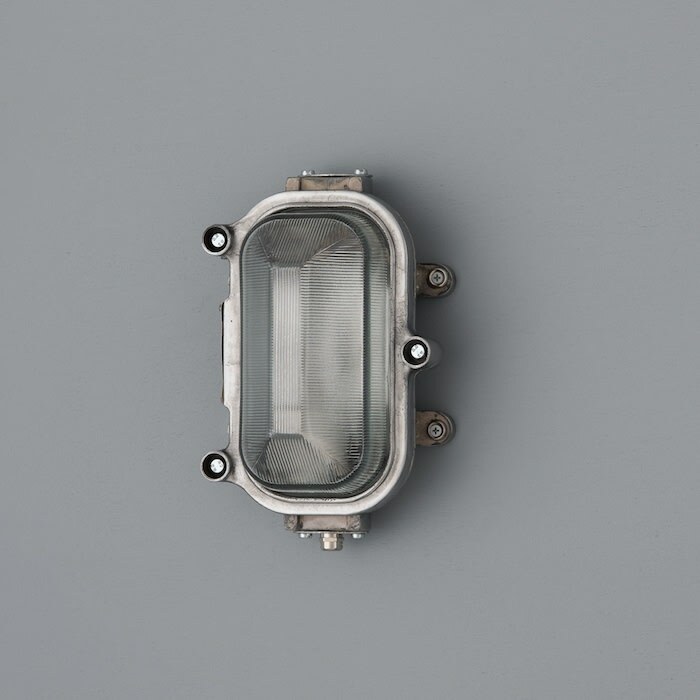 Vintage salvaged Russian naval bulkhead lights from decommissioned cargo ships in India. 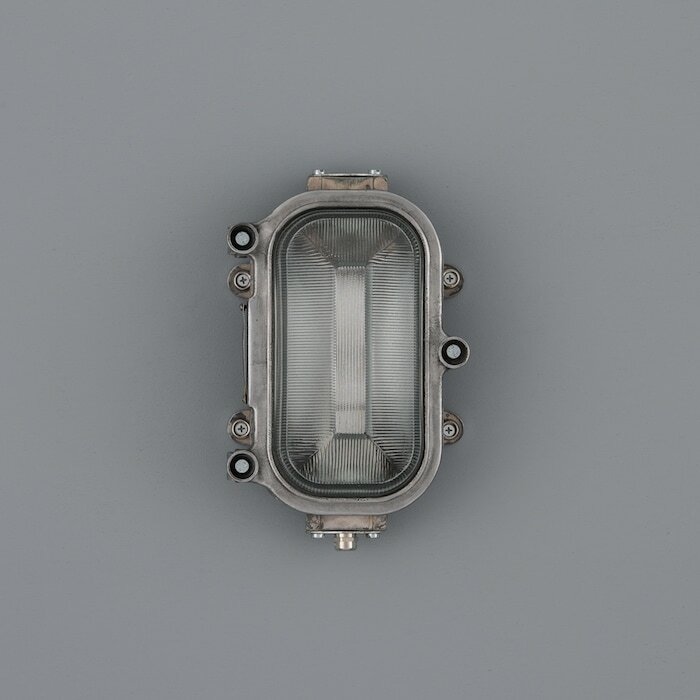 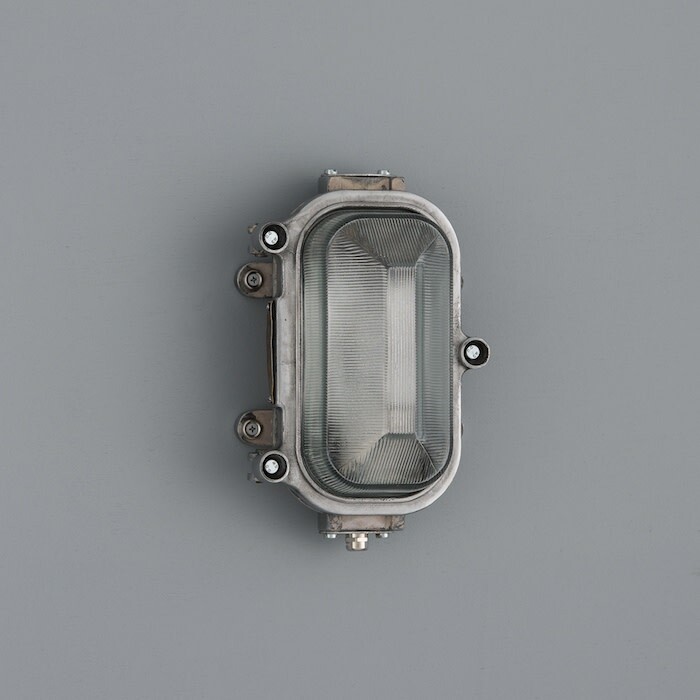 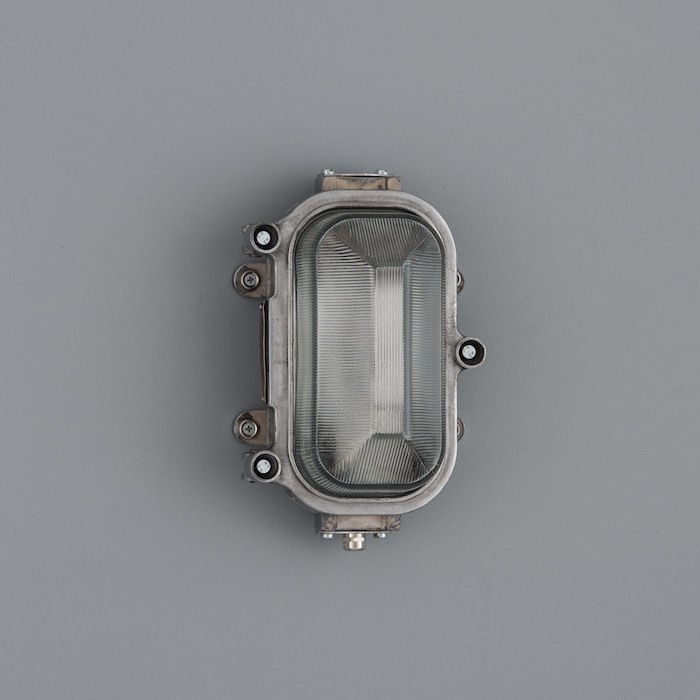 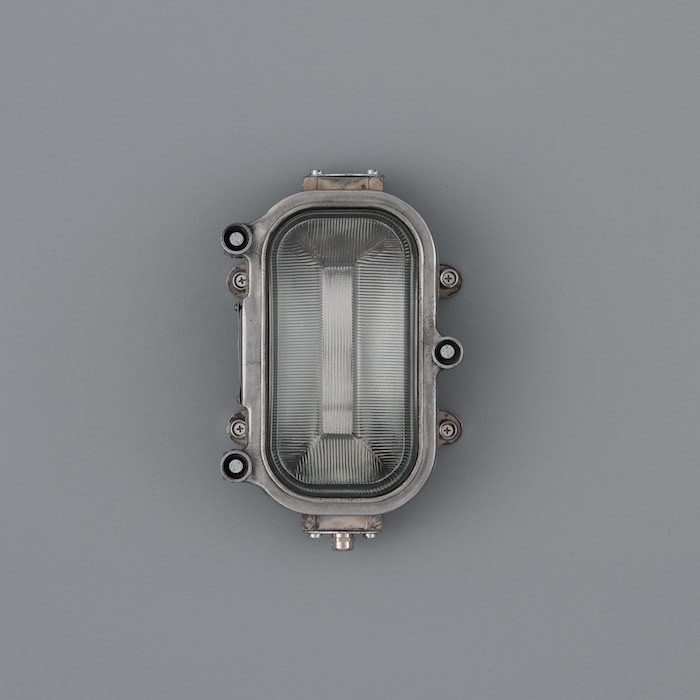 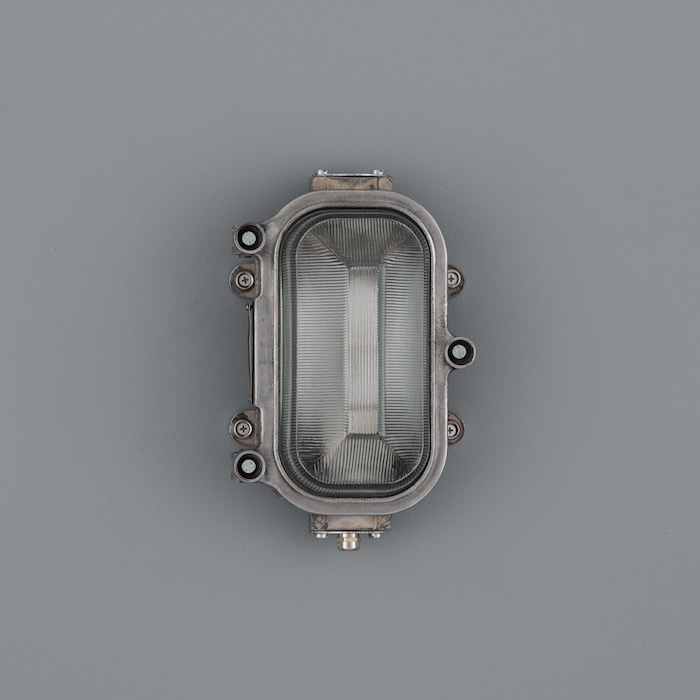 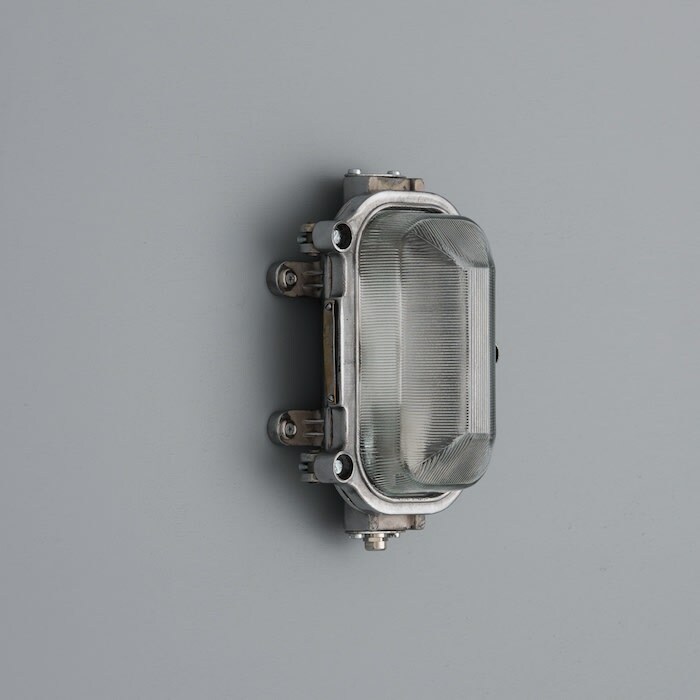 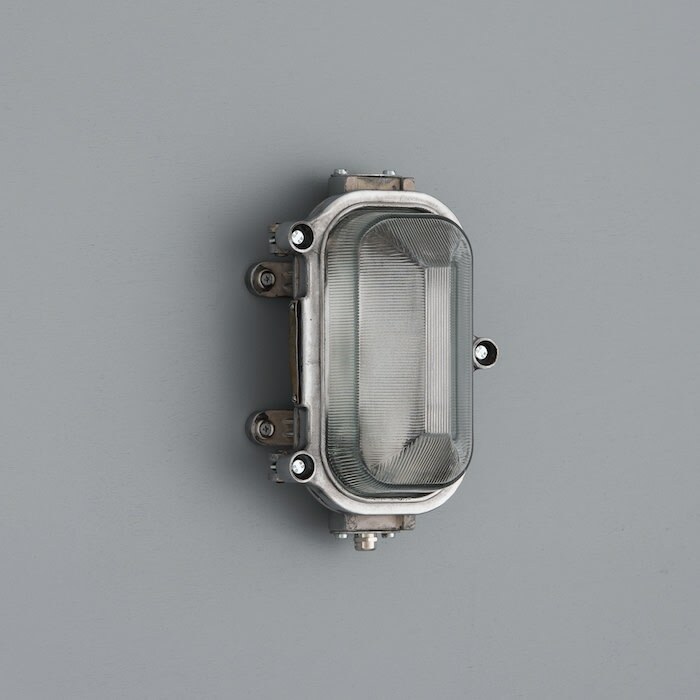 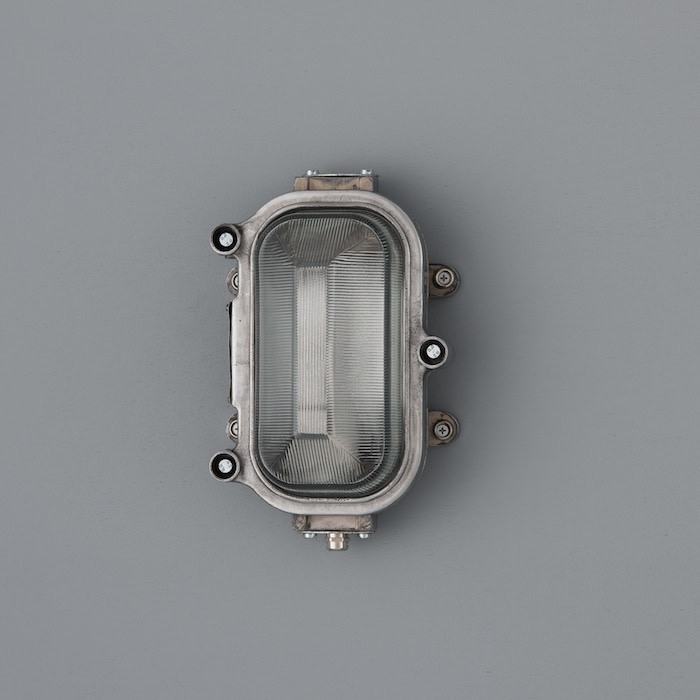 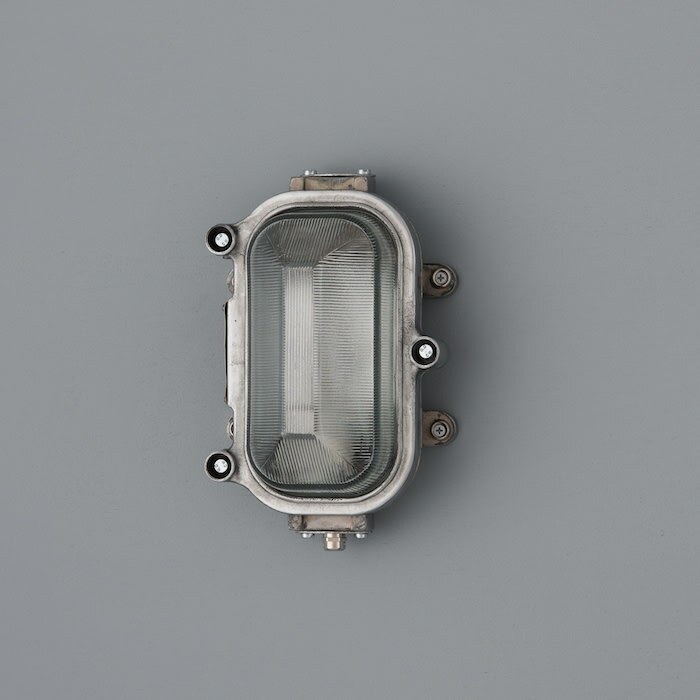 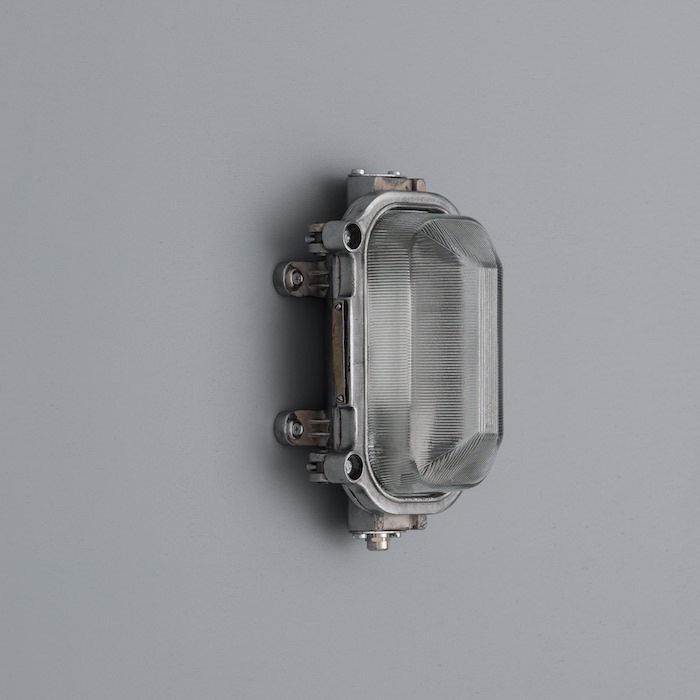 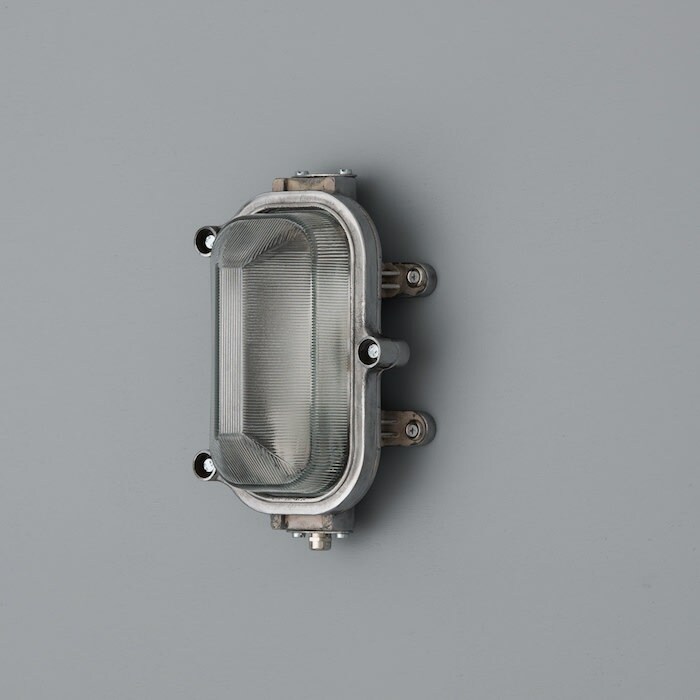 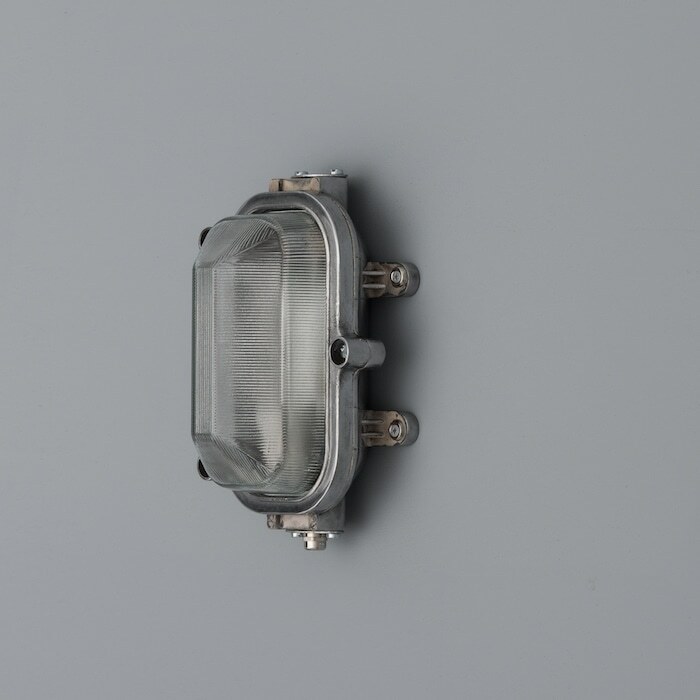 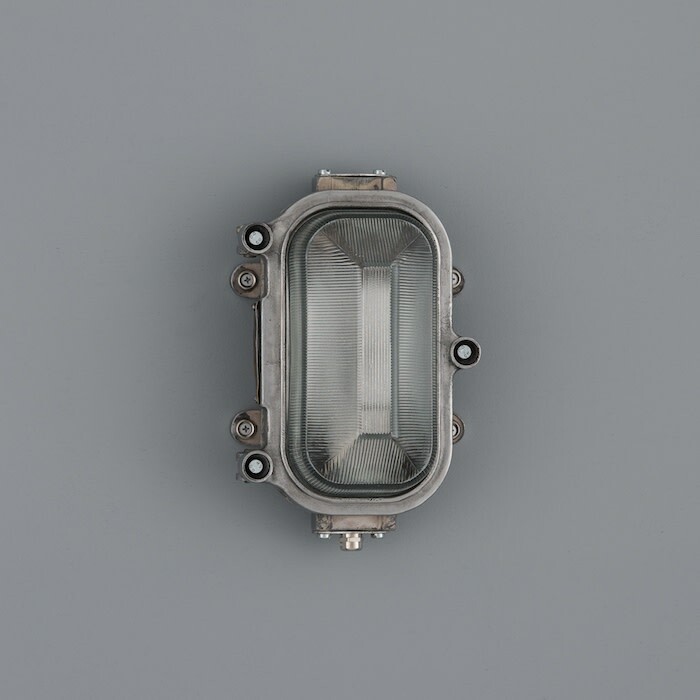 A clear prismatic glass lens sits within a two-part polished aluminium enclosure which features the original worn CCCP manufacturer's plate. 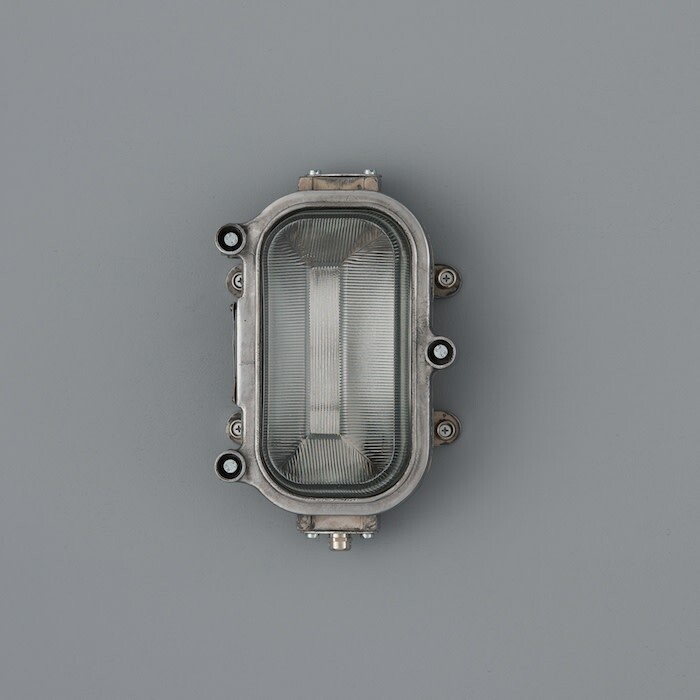 Each light is supplied with a new screw (E27) lamp holder. 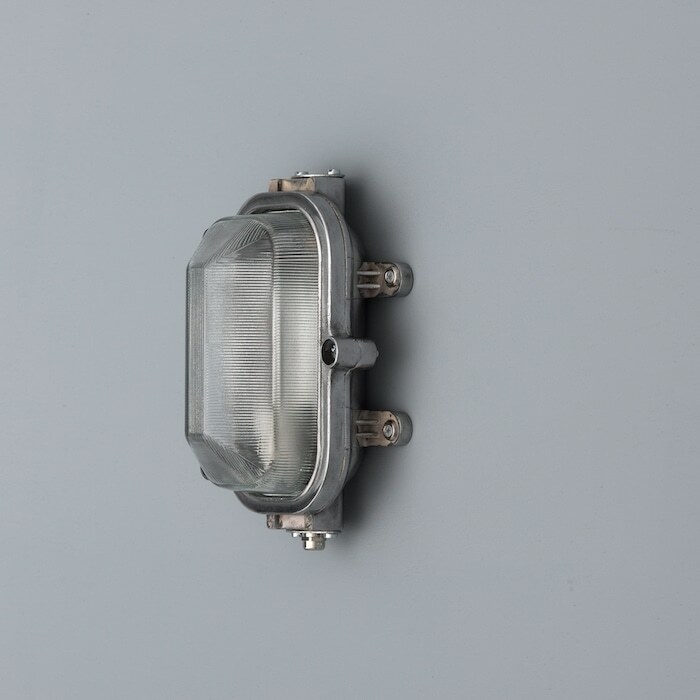 The lights are suitable as both wall and ceiling fittings.